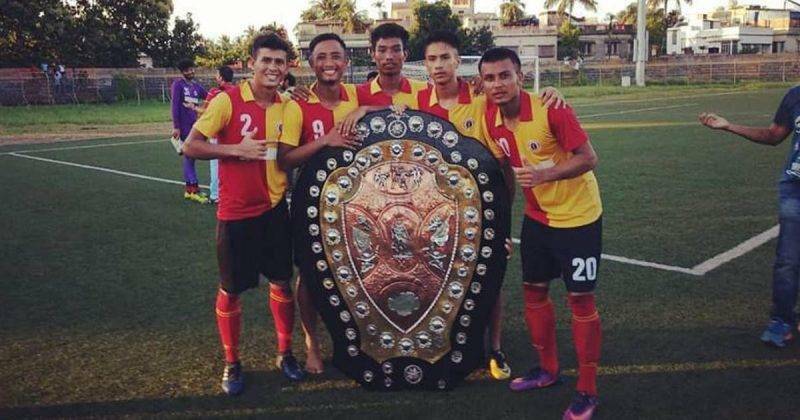 The historic 122nd Shield came down on penalties as Bangal boys pipped Mariner colts 4-2(5-3 aggregate) on penalties after both the team failed to change the scoreline tied at 1-1 at the end of 120 minutes. Earlier,Sourav Das put Mohan Bagan forward within the 47th minute whereas Dip Saha levelled scores six minutes from time. The stalemate prevailed into additional time earlier than East Bengal sealed the problem 4-2 within the penalty shoot-out to clinch their 29th Shield title. It was an uncommon climate with scorching warmth and the 2.30pm kick-off on the Barasat synthetic turf added to the distress, and the referee needed to give 4 drinks breaks in the course of the regulation time. The final provided an opportunity to Indian Football Association(IFA) officials to stage a Finale fitting to the occasion as derby came knocking for the U-19 boys of East Bengal and Mohun Bagan faced off in the prestigious final. But as time again, things have been for Indian football, IFA messed it up with the venue , the timing , promotions to showcase the premier youth Finale to the anguish of the fans and players being subjected to inhumane playing conditions. With rains giving the city a miss, the temperature soared to close to 40 degrees Celsius, enthusiastic and passionate fans thronged the Barasat Stadium in numbers with banners, flags, drums and usual chants. But they were let down by an unconcerned IFA officials . With the match kicking off at 14:30 under scorching July heat, the fans in galleries had no respite as the galleries without roofs provided no cover from the afternoon blazing sun.The torturous conditions forced few fans (mostly East Bengal)to abandon their designated gallery to take shelter underneath the tree shades behind the goal. The players as young as 19, were forced to give in their best in the scorching sun as the artificial turf releasing could have roasted popcorns. The playing conditions were simply inhumane as one could imagine when it was difficult to stand under the sun ,how players could run ragged for 120 minutes to give all they had in the all for stake final. The Barasat stadium due to its infrastructure and location is not fit to organize any decent match in any developing country. A dilapidated stadium located at a time-consuming journey from the city offers no joy for the fans and it almost feels like an away game. We at Football Tribe India, would hope for the sake of football, footballers and passionate fans that IFA would take a note and learn from mistake to host matches possibly at venues like Rabindra Sarobar with the relaid pitch and bucket seats available. With the option of floodlights available and an excellent location for evening games, IFA could invest and try to revive the stadium to host important league matches for the benefit of Bengal and Indian Football.